We have had a couple tickets come in from customers about backing up their MySQL database and how they followed the steps in a previous blog article and ran in to some trouble. I am going to run through the process I used to get this working and hopefully this should clear up any questions and make the process less confusing. 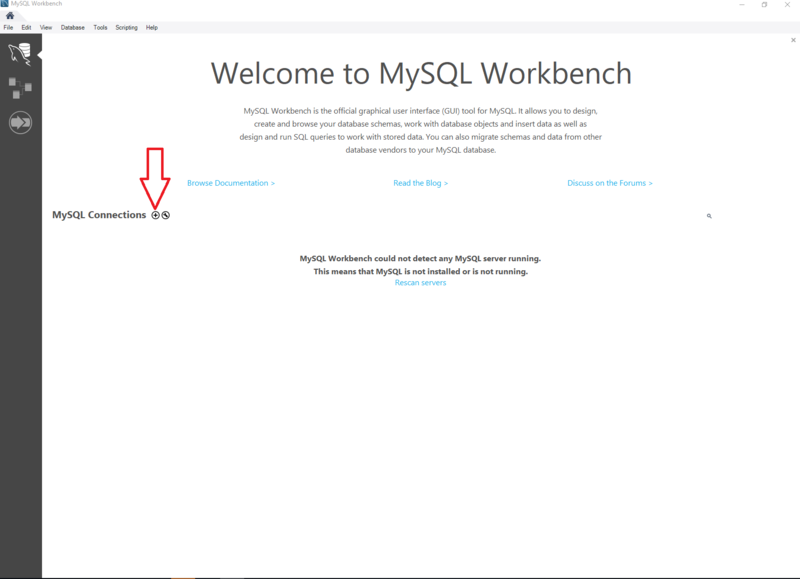 So once you have Workbench installed go ahead and open up MySQL Workbench and you should see the screen below (minus the red arrow). 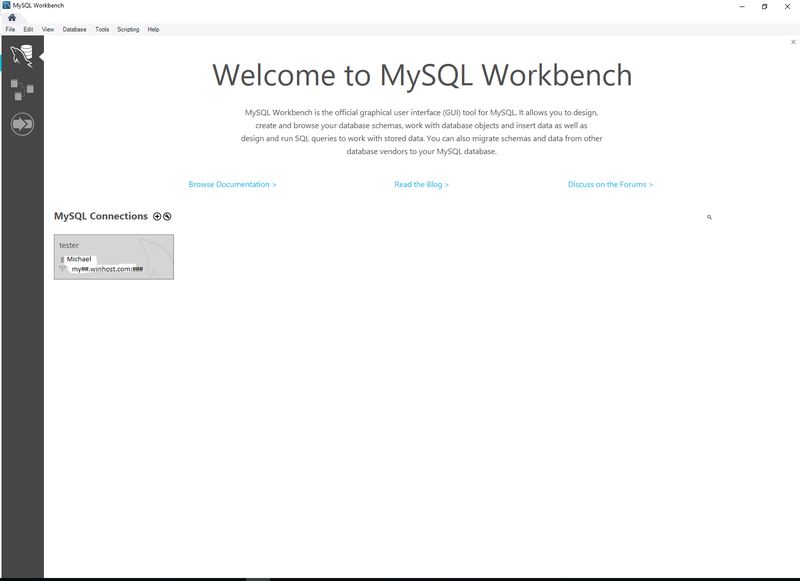 In this post, I used MySQL Workbench v8.x. Connection Name: Any name to identify the database. 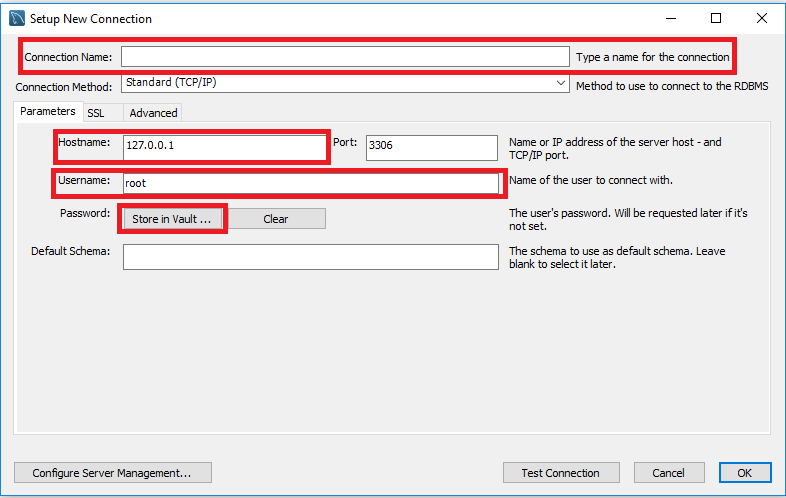 Username: This will be the Database User found in the same place as the last step. Password: Click on Store in Vault and you’ll be prompted to enter a password. This will be the password set for the database if you never set it, it will be the same as your control panel password. You can click on Test Connection or OK and it will verify the information you entered and say connection successful. If you get any errors, please double check the information you entered. Go ahead and double click on your newest connection to connect to the database. Now to begin the backup process click on Server > Data Export to be taken to a new page. 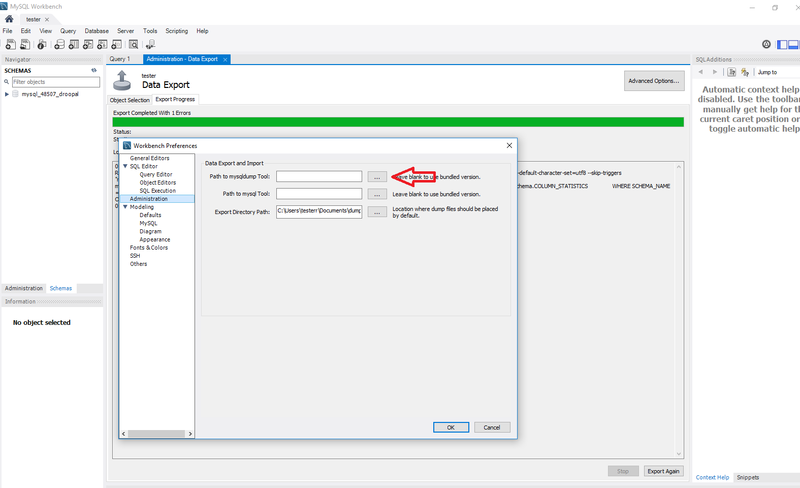 Begin by clicking the checkbox next to the database you want to backup. 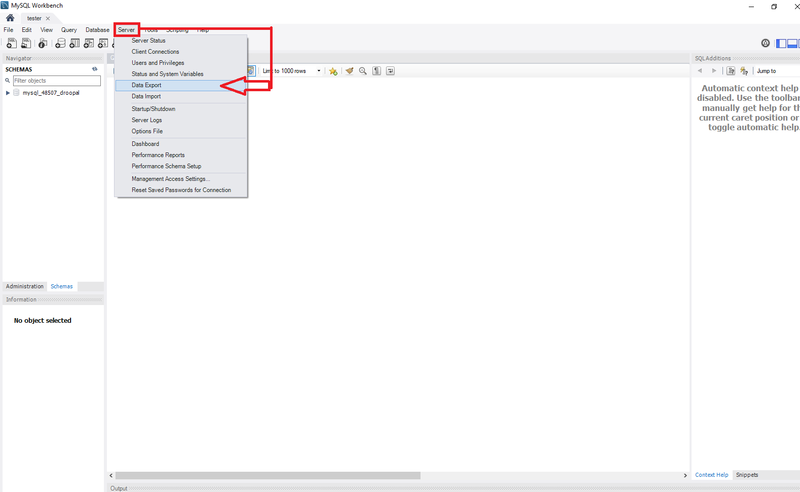 If you wanted to you can choose specific tables you want to include or exclude by clicking on the database. 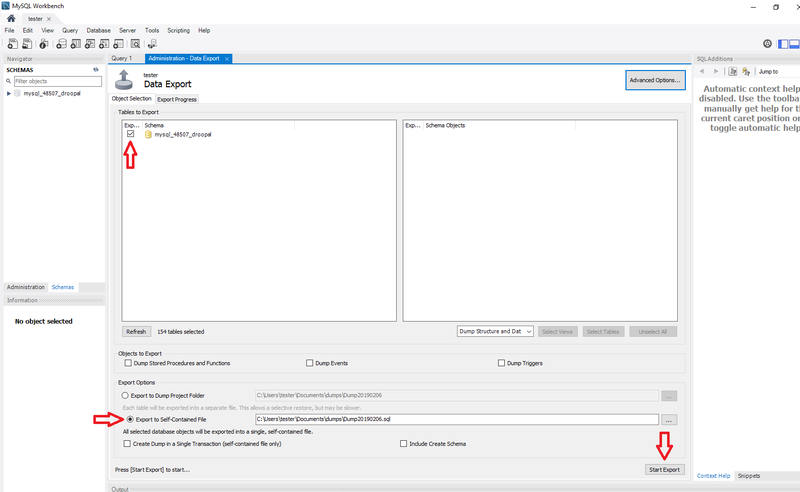 Make sure you click the option for Export to Self-Contained File and then click Start Export. If you’re lucky everything works right away and you can find your database dump in the specified file path. If you’re like me however, you might get a warning like this. Now you can go ahead and try clicking Continue Anyway, but you will probably end up getting an error code that ultimately ends with “Operation failed with exitcode 2”. 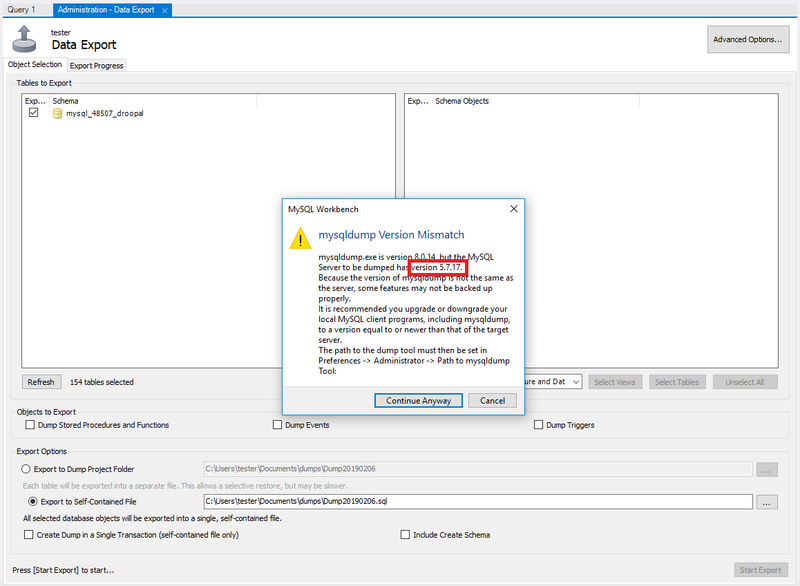 So, you’ll want to take a closer look at that warning you received particularly the version number that I have outlined in red. This could be a different number so make sure to check your warning message and not just use mine in this example. Look at the version that was outlined in red in the previous picture and look for the Community Server with the numbers matching the first two of your version number. In my case I’m looking for Community Server 5.7. Download the Zip file for your local machines operating system in my case Windows 64-bit. 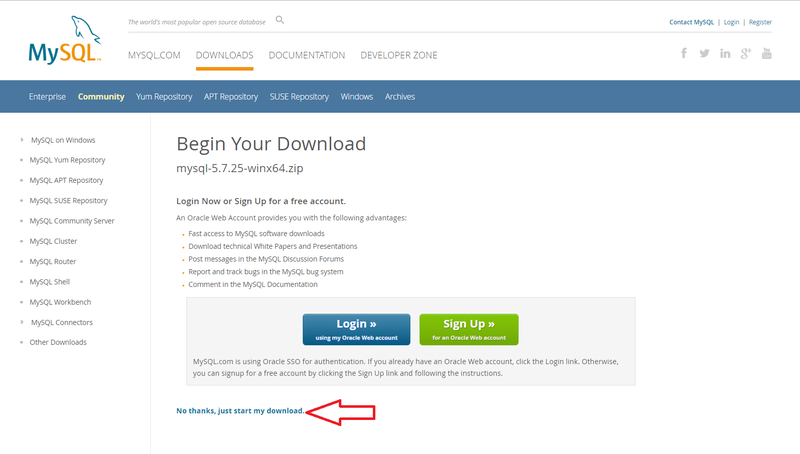 You can create an account or login if you like, I just go to “No thanks, just start my download”. Once it completes open the zip and move the folder onto your desktop. Now back to Workbench, go to Edit in the top left then click on Preferences and in there you want to go to the Administration tab on the left highlighted in blue. 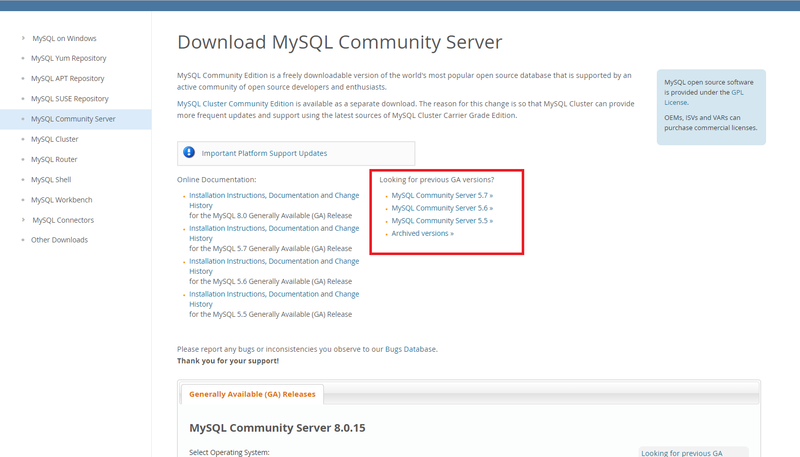 Next to “Path to mysqldump Tool” you want to click on the three dots and locate that folder we just downloaded. If it’s on your Desktop, then the path will be This PC > Desktop > mysql-5.7.25-winx64 > bin. Your version number might vary a bit. 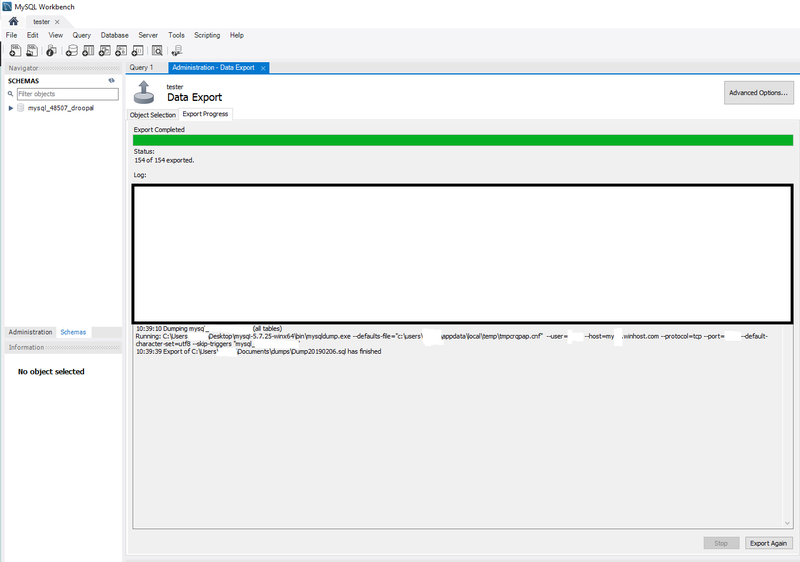 Once in “bin” look for the application called “mysqldump” and double click it and then click OK.
Now for the moment of truth, click on export and if everything goes to according to plan you should be seeing something like this. Congratulations! You have successfully backed up your MySQL database. If you have encounter with this, open a Winhost support ticket. NOTE: If you wish to avoid this whole manual excercise to backup your database, you may consider our automatic site and database backup service, SiteBackup. SiteBackup is more of a “set-and-forget” system that will make daily backups of your files and data. 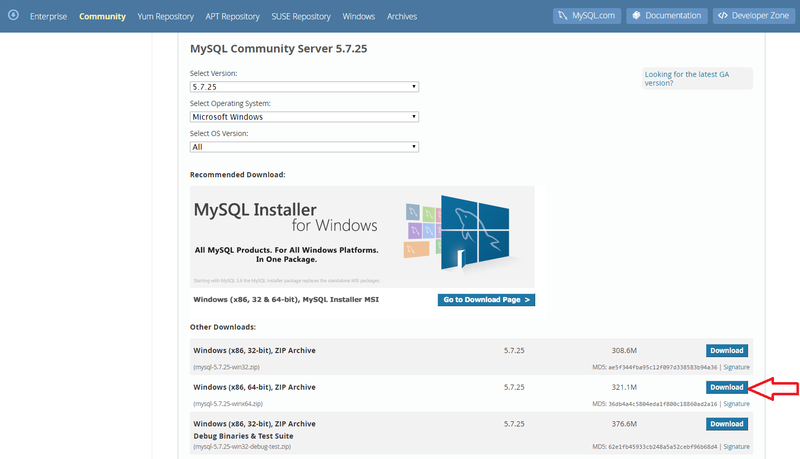 And you can backup multiple sites/databases hosted at Winhost or elsewhere.